Recently we were very lucky to be sent an Imaginabox for review. Imaginabox is a arts and craft box aimed at children ages 4- 8 years old that is sent out monthly. Imaginabox send a themed box full of instructions, templates and materials for at least 4 things to make with your kids (one of which will transform the box into something fab). On top of that Imaginabox include activity ideas for the things they’ve made to encourage imaginative play and learning about the world around them – you don’t want the kids making stuff just to sit around collecting dust after all. As mentioned above each box has a different theme, We were sent the pirate themed box which was a big hit with pirate mad James! The box arrived promptly and the packaging was great! The box came wrapped in brightly coloured spotty paper with a personalised sticker with James name on it which we thought was a great personal touch! The box contains 4 crafty activities and each activity comes in a cute paper bag labelled with a number which corresponds to an activity within the booklet that is provided within the box which contains instructions on how to complete each activity. The box comes complete with everything you need to complete all of the activities and your first box comes with scissors, paintbrush and a glue stick! The pirate box contained 4 main activites which were..
- Make your own tele-kaleidoscope and check out the pretty patterns whilst looking out for desert islands. - Decorate and draw a treasure map then follow our clues to find Ol’ Seadog Bob’s treasure. - Create a super pirates costume to act out your seven seas adventures. 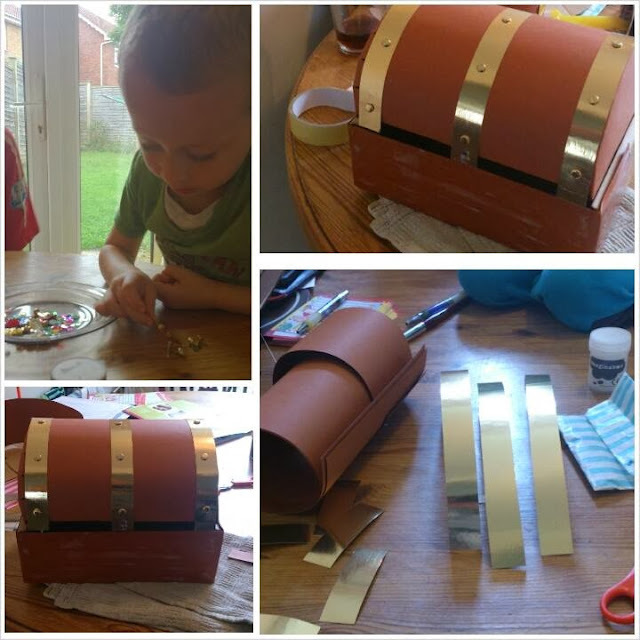 - Make a treasure chest from your box to keep all of your precious things inside. 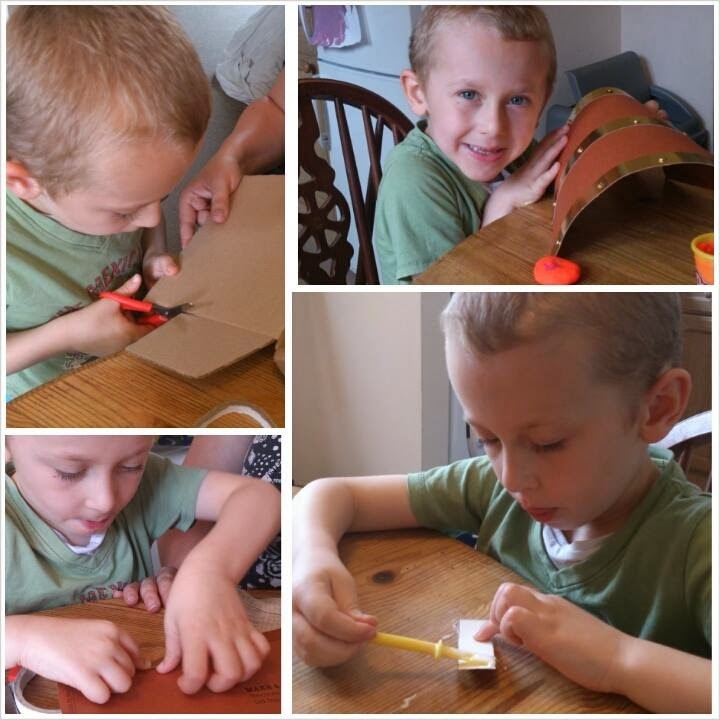 James had lots of fun sticking and gluing although we did find a few of the activities (particularly making the treasure chest out of the original box) as it required a lot of fiddly cutting and sticking. He particularly enjoyed making the map and drawing his own treasure map. We thought the Imaginabox was a fab idea! All of the items that James made in the box were used for varies different things during play time after finishing the box. 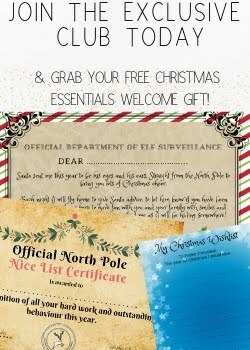 We didn't need anything extra to complete the activities as everything we needed was included which was a big bonus! Some of the activities are a little fiddly and I would say it is more of an activity for a parent and child to sit down and do together rather than something for the child to do on there own. The instructions were clear to read and easy to follow for an adult but may need a little explanation for the younger children. Overall we loved the Imaginabox, We thought it was a fab idea to get creative with your little ones and the cost was quite reasonable for everything that is included within the box.